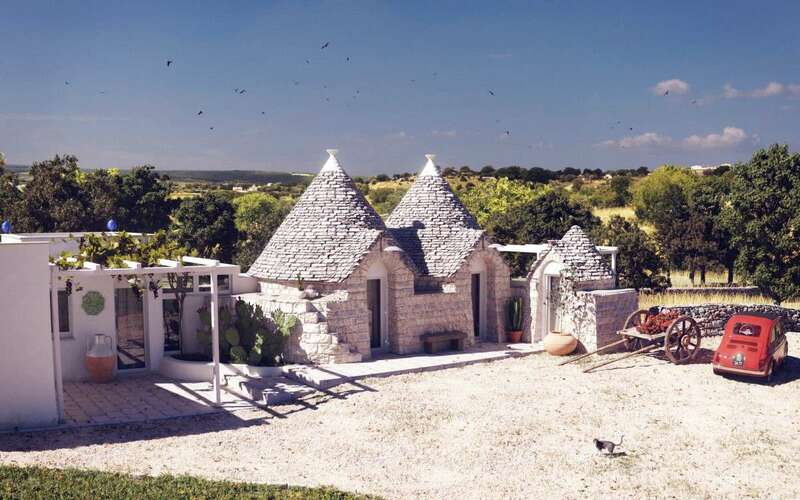 Currently being restored, this charming group of trulli are situated within a wonderful panoramic setting with stunning countryside views, halfway between Alberobello and Castellana Grotte. 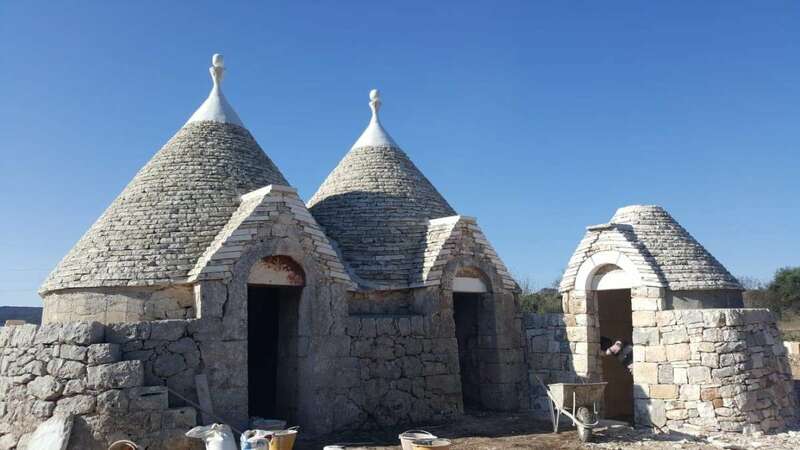 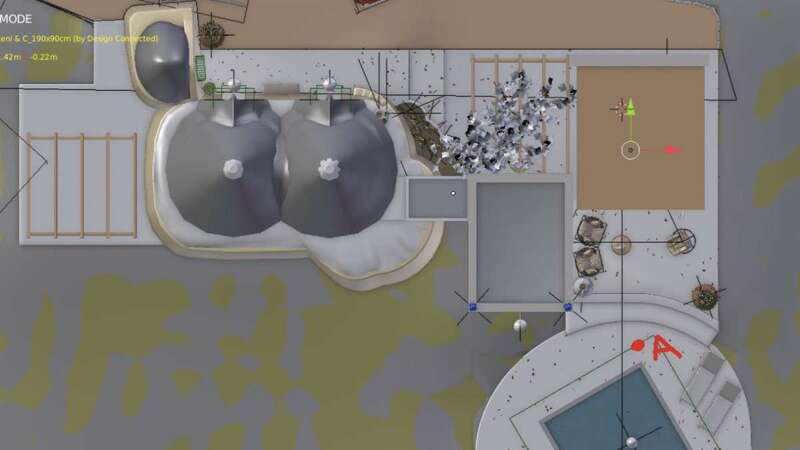 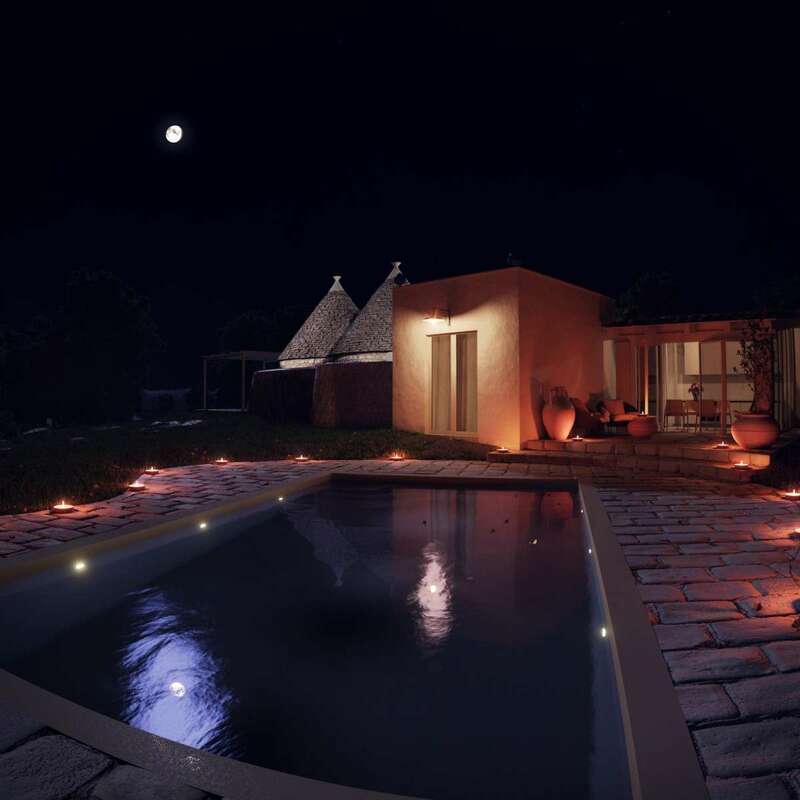 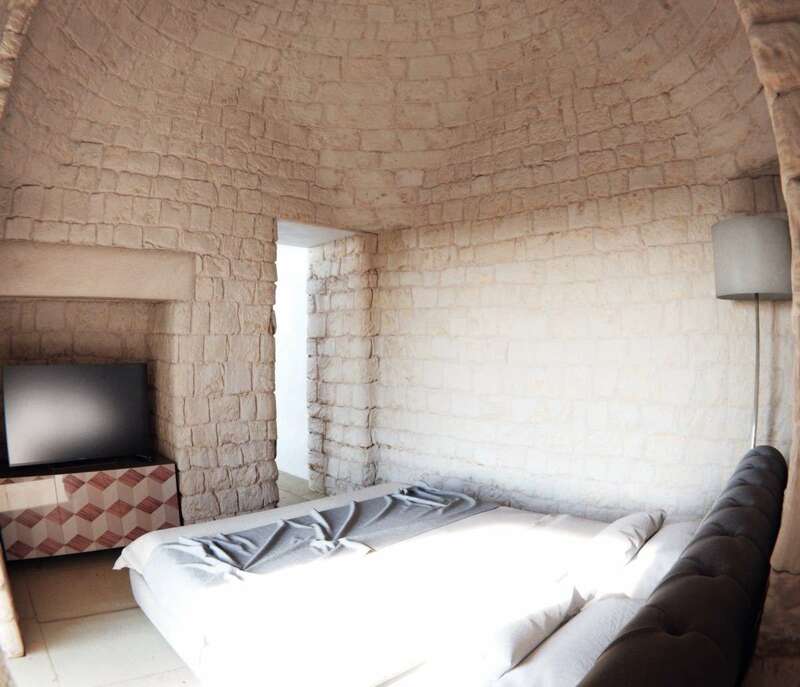 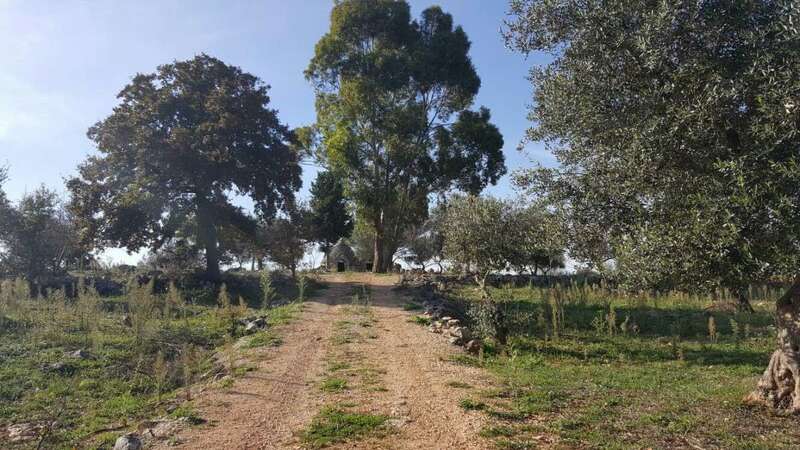 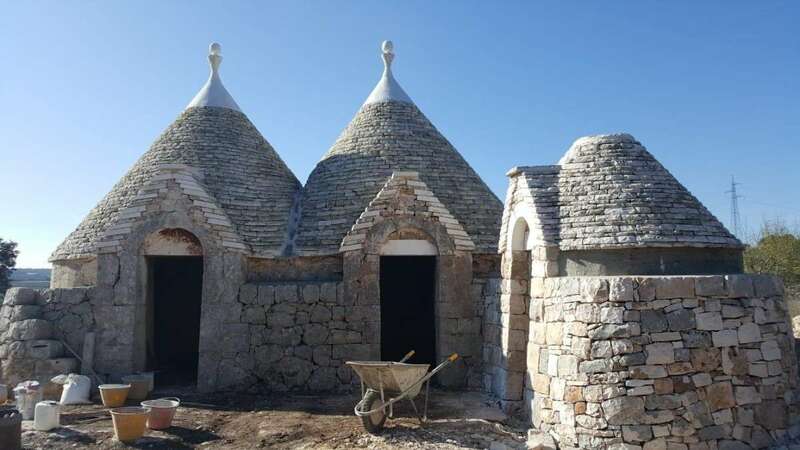 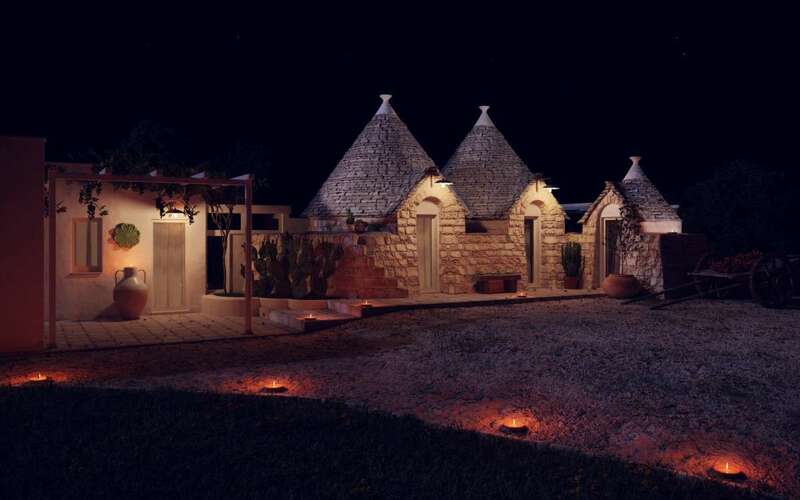 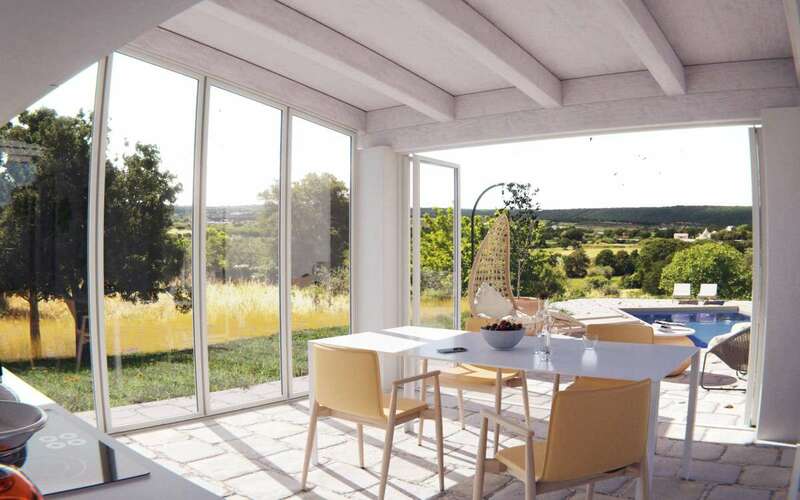 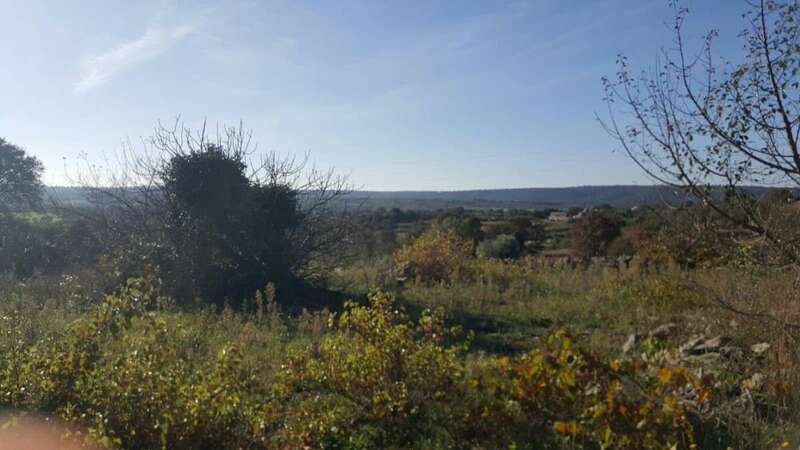 Currently there are 2 trulli and a small stone room and an extension is planned in order to build a house with 2 bedrooms, 2 bathrooms and a living area with kitchenette. 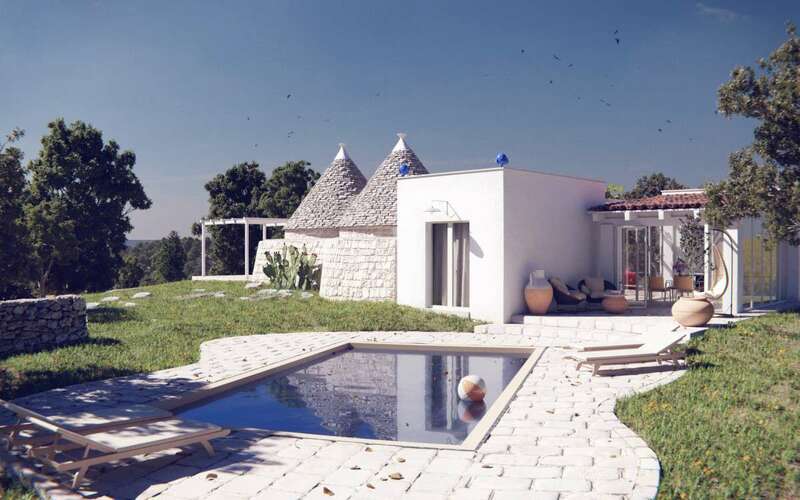 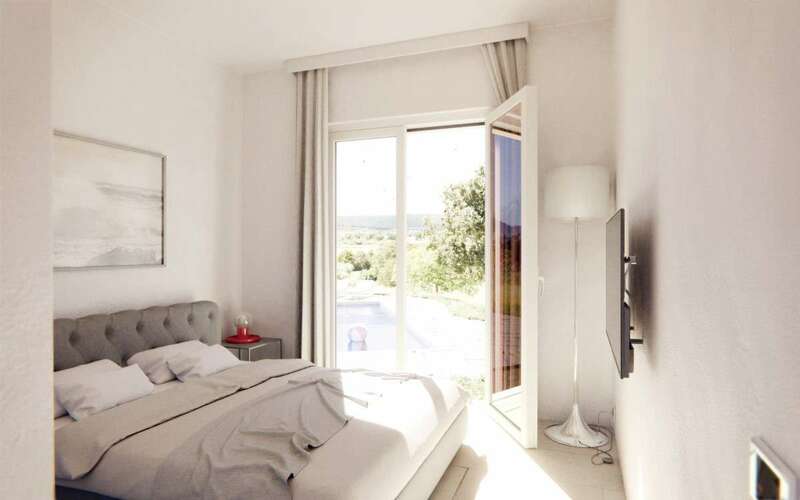 The property will be sold completely renovated, extended and with the swimming pool. 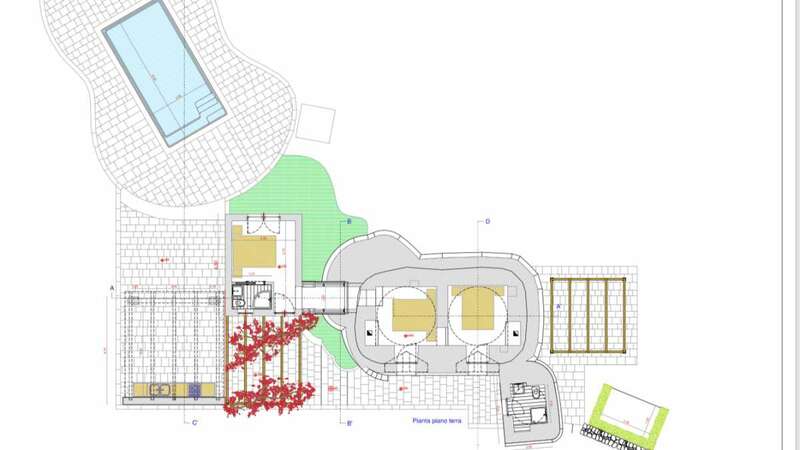 Set within around 1 hectare the project includes the construction of a gazebo and a swimming pool.